Hanoi is an incredible city full of hustle and bustle, restaurants, clubs, hostels and regional trips. You can’t come to Vietnam without checking this fantastic city! Hanoi being the capital of Vietnam is a great place to start your trip. 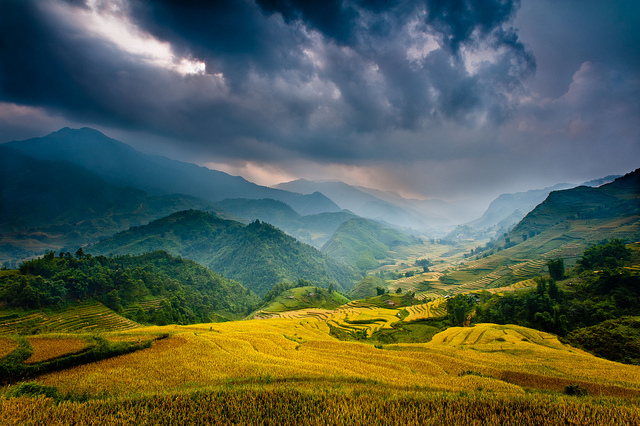 You can easily spend 3 or so days discovering the city and you should allow another few days to do one of the magical tours of Sapa or Hạ Long Bay (or both if you have time!). I spent (altogether 8 days) two nights in the city, two nights on a Hạ Long Bay tour and another three nights after that back in the city with my new friends from the tour, and I felt I had spent a good amount of time seeing the place. I would recommend staying in the Old Quarter at one of the great and cheap hostels ($8-$15 per night roughly). I stayed at Hanoi Backpackers Downtown and this was a very short walking distance to everything I wanted to see. They have a very generous free breakfast every morning including eggs, fruit and pancakes! This hostel was hands down the most social I’ve ever stayed at. The bar and restaurant is in the lobby and this turns into a raging party every night until 11pm when the staff shut the bar and take you on a pub crawl. The staff are all super fun travellers and are always around to help you book loads of great tours, transport and give you any other information you need. Most hostels organise a daily walking tour of the city, or if they don’t it is easy enough to find one. This is a great thing to do on your first day to get your bearings (and is free). One of the best things to do in Hanoi is to just get lost and explore the Old Quarter. This is a fascinating area with a gorgeous lake running alongside it. Here every street has a theme e.g. shoe street, balloon street, and they are literally filled with shops relating to that product. When walking around, it’s great to sample food at the many street vendors making fresh snacks for pennies. Stalls are everywhere and are the best for drunk on-the-way-home food. Don’t be one of those people who look down upon street food! It’s cooked right in front of you and the ingredients are always fresh (there isn’t much refrigeration so they buy new ingredients every morning). Most food poisonings happen in hotels or restaurants where you can’t see the kitchen- the food is beautiful so try as much as you can! Yummy fresh spring rolls for 17cents each! If you stay at a hostel with a bar this is the best place to start to meet people. In the Old Quarter the bar ‘Hair of the Dog’ is very popular with foreigners and has great music. There is also a nightclub called Lighthouse which is on the other side of the highway (which you have to run across). This has great music and a delicious hotdog standoutside the entrance. Be cautious: When you head out make sure you only bring the amount of cash you think you will need and not much else (you don’t need ID to get into anywhere). A lot of clubs are run by some dodgy locals that can take advantage of their customers if they’re drunk enough, so providing you have nothing really valuable on you there won’t be a problem. I had no problems however it is a good habit to get into for anywhere. 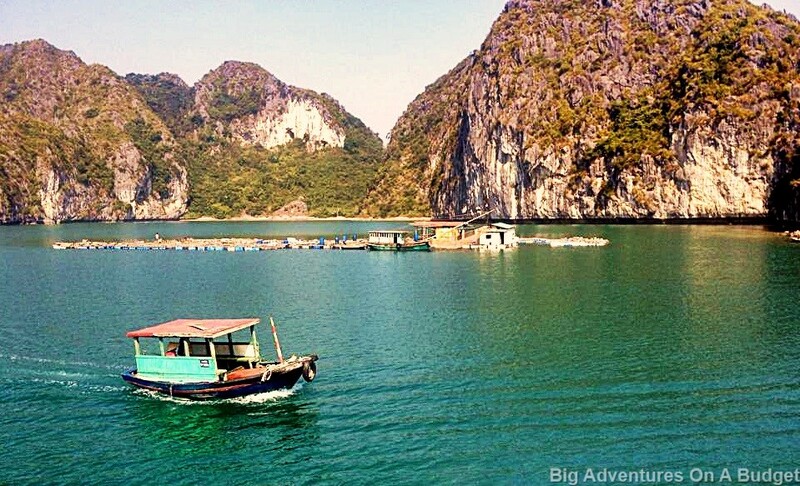 You can’t visit Hanoi without doing a tour to either Sapa Valley or Hạ Long Bay. They usually go for three days and are easy to organise, as every second shop offers tourist information and booking facilities. You can get a very cheap price this way especially for the Hạ Long Bay tour (from $50) but trust me it won’t be as fun and will be full of old couples. I heard stories from my friends who went on a cheap Hạ Long Bay tour and their guide threatened to have them arrested for jumping in the water when they were docked! 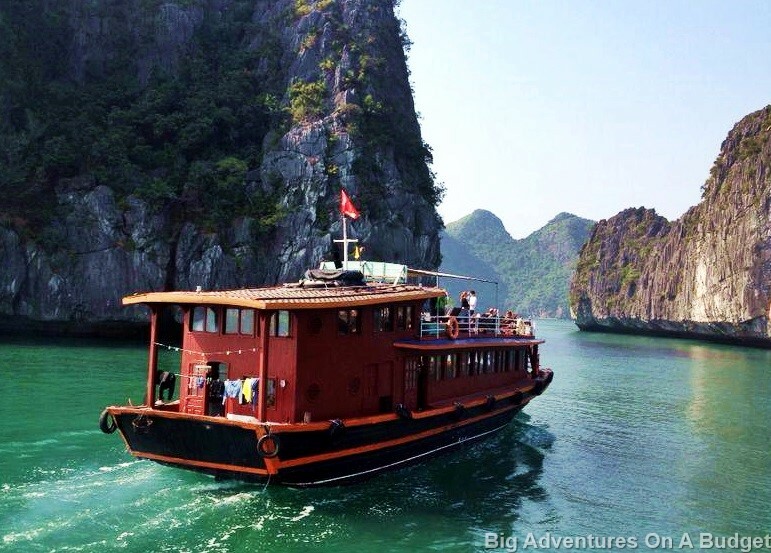 I booked the Hạ Long Bay tour ‘Castaway’ with my hostel for $215 (including accommodation, meals and transfers), as theirs was more of a young traveller booze cruise type which was what I was after to meet people. I went on the Castaway tour, run by Hanoi Backpackers. 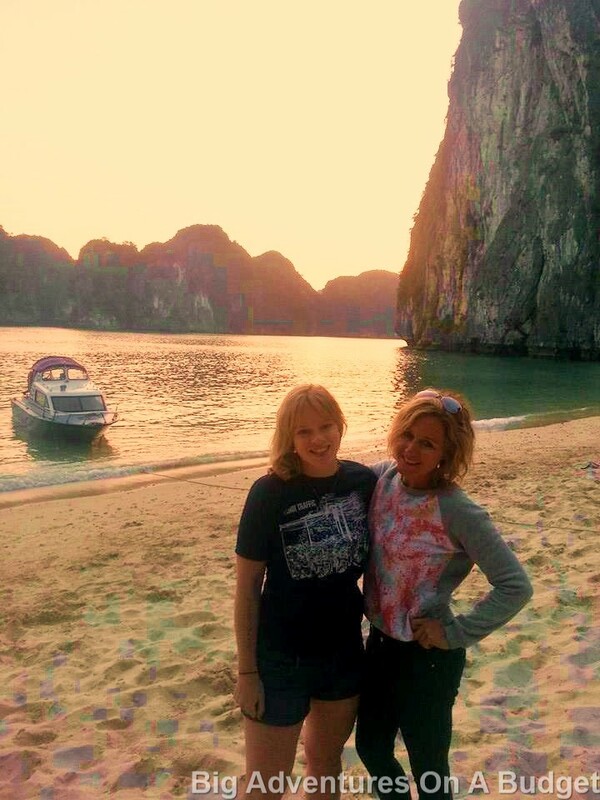 This entailed one night on the boat in Hạ Long Bay and then one night on their private Castaway Island. The group was a great size of about 20 so we were able to get to know each other quickly. It’s a four hour bus ride from the city to the boat, where you meet the fellow travellers and your guide (a traveller who works at the hostel) who force feeds you straight local vodka to break the ice. You set off on your boat and enjoy a home cooked lunch (all your meals are provided and delicious) while sailing the bay. In the afternoon you sun bake and drink on the top deck, taking in the magnificent peaceful views. We all jump off the top of the boat and go kayaking through tall limestone caves and bays, where the sound of us simultaneously cracking a beer echoed for minutes. At night the floor under the dinner table lights up and turns into a crazy dance floor accompanied by their own DJ set. 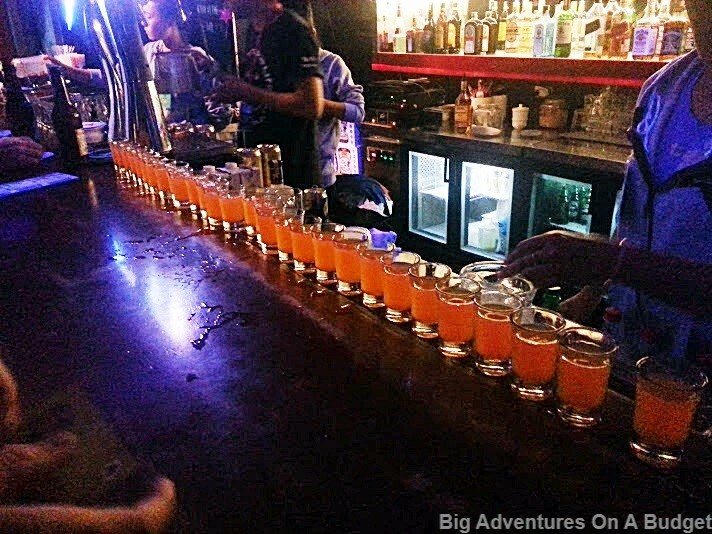 You play drinking games well into the night courtesy of the cheap drinks at the bar. The next day you sail to the ‘Castaway Island’, private only to the tour group. It houses just a bar and open bungalows to sleep (that’s right, no electricity to charge your phone!!!). It is literally paradise and shows you how satisfying the simple life is when you have good friends around. By day you rock climb, kayak, go tubing or sunbake. By night you enjoy the sunset, bonfires and drinks with new friends. 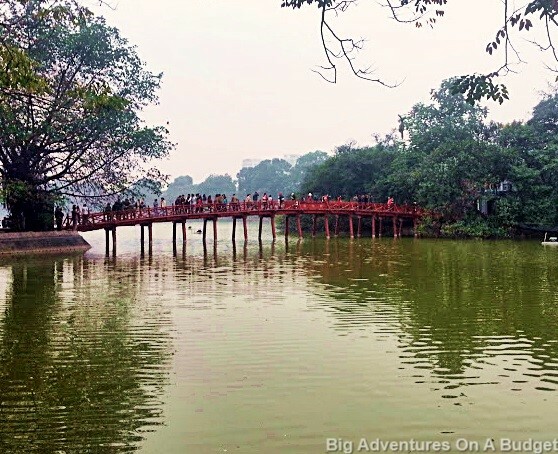 The next day you head back to Hanoi having 20 new travel friends and incredible memories. I ended up travelling the rest of Vietnam with friends I met on this tour (and I’m meeting them in England again soon!). It was a great place to start and from here I headed south to Hoi An. 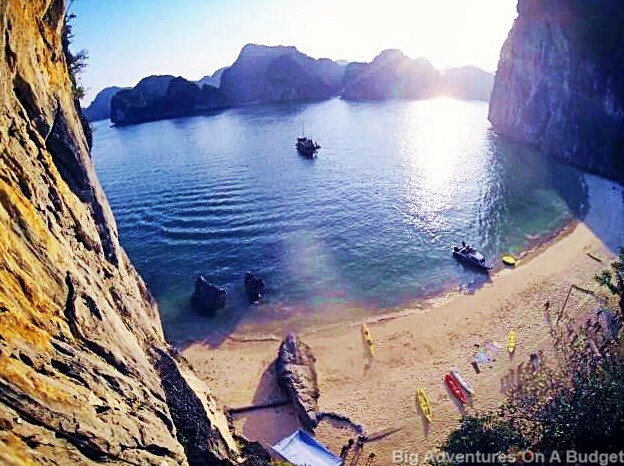 This entry was posted in Asia, Vietnam and tagged adventure, backpacking, booze cruise, Halong Bay, Hanoi Vietnam, kayaking, solo travel, street food, Vietnam. Bookmark the permalink. Just got back from Hanoi, followed your tips. One of the best times of my life! Thanks so much. Anyone else would be wise to listen to the pro that is Lauren! Thanks James! I’m so happy you had a good time.